In support of International Day of Charity, we really wanted to partner with a brand that hit close to home. The Lipstick Angels is a unique non-profit organization dedicated to using the power of gentle beauty to benefit patients who are currently undergoing treatments such as chemotherapy. Renata Helman, the founder of The Lipstick Angels, has a very similar story as Tata. As a makeup artist herself, Renata was inspired by the impact her grandmother’s beauty routine had on preserving her self-identity while going through the harsh effects of treatment. The Lipstick Angel’s services were then created to bring relief, education, and support for the whole person - mind, body, and soul. The organization is comprised of a group of giving and generous Angels (i.e., make up artists and estheticians) who go into hospitals to provide complimentary, personalized skincare and beauty services at the patient’s bedside or while they are receiving chemotherapy infusions. The Lipstick Angels offer some much needed relief and support during their medical treatments, providing spa-like luxury and care through relaxing facials, beautiful fragrances, and moisturizing bursts of lip and cheek color. We are delighted to work with this incredible charity and share our 100% natural, nontoxic products. Going through a debilitating treatment like chemotherapy leaves the body vulnerable. This can be especially harsh on the skin. It’s not uncommon for a patient to find their whole beauty routine turned upside down and limited to very simple products that won’t irritate the skin. Many patients are devastated that, on top of dealing with their illness, they can’t find comfort in their own beauty routines. That’s where we come in. 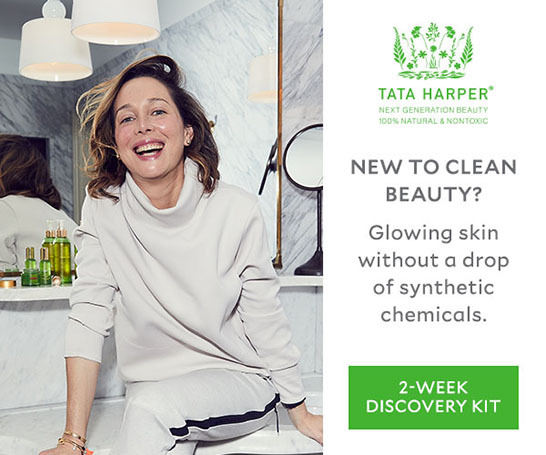 At Tata Harper, we are dedicated to providing skincare products that deliver beautiful results, while being incredibly gentle and soothing for compromised skin. We take pride in the level of care that goes into each one of our ingredients and can safely assure patients that there will be no harsh side effects or irritations during their services. Not only do The Lipstick Angels help lift patients’ spirits, but they also provide a supportive setting to boost morale and make connections. As one patient who met a Lipstick Angel during her treatment described, these products brought joy into the experience. It is a gift to know that each ingredient in Tata’s products can be part of the healing of the many patients facing cancer and its treatment. And that this gift can bring dignity, joy, and beauty. After going through medical treatments that can leave skin severely dry, the natural hydration in our Moisturizing Mask provides a very real and immediate relief for patients. This mask has been described as a life saver for stressed, post-treatment skin. Powered by our very own Moisture Molecule Complex, this rich mask helps to replenish the skin with extra hydration and a whole lot of love. Chemotherapy can be draining on the skin. Thankfully, our beta-hydroxy Resurfacing Mask helps nurture the skin with high performance botanical ingredients to instantly brighten and revitalize complexions. This mask has become a staple of the Lipstick Angels beauty kit for its abilities to spark an inner and outer glow. “You have changed my life!!! I was stuck in the house, not wanting to go outside anymore because I looked so pale. Now, with a facial treatment and makeup, I am glowing! Thank you for helping me FEEL again!” - Parvatie. When asked about a favorite product, the Lipstick Angels all said they are so, so in love with the Lip & Cheek Tints. The tints provide a great pop of color and are so easy to use as a multi functional product in the facial services. Up next, we are so excited to collaborate on our first ever Tata Harper Masterclass with the Lipstick Angels. This class felt like an organic way to help reorient and educate patients who are learning to work with physical changes in their skin. We will be inviting cancer patients from Mount Sinai Hospital, NewYork-Presbyterian/Weill Cornell Medical Center and New York-Presbyterian’s brand-new David H. Koch Center to take part in this class. Learn more about Lipstick Angels here.